Unless you’re intending to use the fireplace as a feature in some way, a chimney breast can sometimes be a real nuisance. It can take up valuable floor space and, in rooms such as kitchens, prevent a neat run of cupboards and work surfaces. So tempting, then, to just remove it? But how do you know that removing the chimney breast hasn’t left, at best, an expensive problem, or even a serious threat to the lives of any occupiers or neighbours? 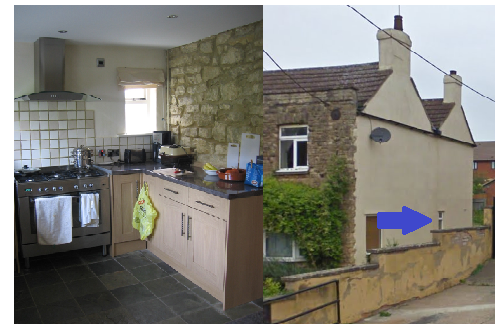 In this house, the chimney breast had been removed from the rear kitchen to make room for the range cooker and the fitted kitchen cupboards, but look outside and you can see that the chimney stack still exists. There was also a chimney breast in the bedroom immediately above the kitchen. The question - was that stack safe? Could the whole thing have collapsed on someone in the kitchen? In addition to the safety of the remaining stack, the question also remains, what else was that chimney doing to the structure of the house? In this house, the floor was very uneven at the back in the bedroom in question. Was that chimney providing some structure and stability for that corner of the house and was that stability compromised by the removal of the chimney breast at the ground floor? These are the sorts of questions facing surveyors every day. They are house detectives, considering what may have happened in the past and what the implications are for the present and indeed the future. A bit dramatic perhaps, but surveyors really can save lives.